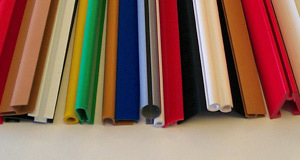 We produce high quality extrusions that add value to a wide variety of display. Typical applications include: Building products, DIY, Domestic appliances, Furniture, Office partitioning, Packaging, Point-of-Sale, Shop-fitting, Toys. Just tell us where and how you want to use an extrusion. Our durable, high quality, custom-designed extrusions play a vital role in many sectors of industry and commerce, including: Building & Construction, Shop-Fitting & Point-of-Sale, Furniture, Screens & Partitions, Commercial Refrigeration, Modular Buildings and much more you’ll be amazed at what we can do for you. Our state-of-the art tool room equipped with two large four-axis wire erosion machines and CNC milling machines. We can produce any profile up to 300mm in width, and profiles can be cut accurately to any required length. 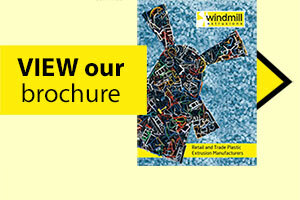 you are welcome to call in and take a look at our extensive production capabilities. Our state-of-the art tool room equipped with two large four-axis wire erosion machines and CNC milling machines. We can produce any profile up to 300mm in width, and profiles can be cut accurately to any required length. you are welcome to visit and take a look at our extensive production capabilities. 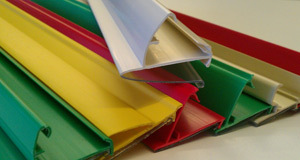 Plastic extrusion is our business. We offer an extensive and continually expanding range of standard plastic extrusion profiles, manufactured to order in a short timescale.They include angles, joining strips, knock-in T-barbs, H-sections, and tubes. We produce durable, cost-effective bespoke extrusions from concept to completion. We can custom-design, make the tools in-house, develop and manufacture extrusions to suit your specific requirements. We regard technical limitations as a challenge, and constantly push the boundaries of what can be achieved in the plastic extrusion field in terms of the complexity and diversity of materials. 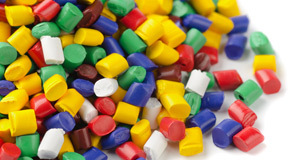 Established over 30 years, we are one of the largest retail and trade plastic extrusion manufacturers in the UK, noted for high quality products, competitive prices and innovative solutions. Our modern factory is geared to rapid production, with the capacity to process very large orders. As well as offering a huge range of standard plastic extrusions, we work closely with customers to design and manufacture bespoke plastic extrusions of virtually any shape or size. We also make standard and bespoke retail POS and ticket rail/datastrip products and are the sole suppliers of data stripping to several blue chip major retailers in the U.K. and Europe.